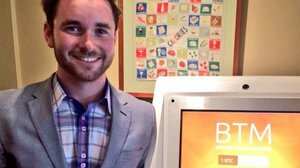 The first ever Bitcoin Job Fair was held at the Plug and Play Tech Center in Sunnyvale, CA. This landmark event symbolizes the growing job market surrounding the Bitcoin ecosystem. For individuals looking to start a career in the alternative currency space, this job fair presents massive opportunity with a diverse set of Bitcoin businesses. To get the scoop on what it’s like to work in the Bitcoin world and to find out what it takes to get the job, I decided to reach out to one of the first and most established businesses in the Bitcoin world, BitPay. With over 30 employees and several years under their belt, I felt that BitPay would provide excellent insight for individuals that show up to the fair to seek employment. What positions are you hiring for? BitPay is correctly hiring for R&D, Compliance and Marketing. What is a day in the BitPay office like?Right now, BitPay is at the Atlanta Tech Village and we all work in one big room. Schedules vary depending on the position and many have the ability to work from home. We do serve lunch daily. In May, we will be moving into a larger office space. Do you offer benefits? We offer the typical benefits to employees including healthcare, dental and vision, along with stock options. To see complete list click https://bitpay.com/team. How did you hear about the job fair? Representatives from Coinality contacted BitPay. Why did you decide to get involved? It looks like a great way to meet prospective new talent. Why would a potential employee choose you? 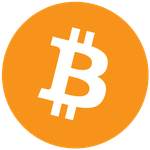 We are the oldest bitcoin company in the space and are currently expanding rapidly. Our headquarters is in Atlanta, but we have offices in San Francisco, New York, Amsterdam and Buenos Aires. We have over 30,000 merchants and process about $1 million a day in bitcoin transactions. What characteristics do you generally look for in an employee or contractor? We are small and want a team player, someone who brings new ideas and experiences to the table and is passionate about bitcoin. Do you have any advice for job seekers? Be yourself – we don’t expect them to know everything bitcoins but have a willingness to learn. Why is Bitcoin so important anyway? Bitcoin is the future of financial technology. We expect to see wider acceptance and an increasing amount of businesses both large and small accepting Bitcoin as payment as Bitcoin will be widely accepted globally so that no matter where a person goes, bitcoin will be accepted alongside cash and credit cards. 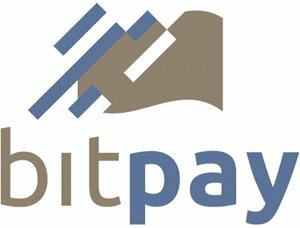 BitPay is is setting the bar for employers in the Bitcoin world. They offer benefits, a flexible work schedule, and several locations to choose from. With incentives like these, it’s easy to see how this Bitcoin business competes for top notch employees. As the Bitcoin ecosystem launches into the mainstream pocketbook, Bitcoin and other crypto currency businesses will become a greater forces on the job market. To participate in the job fair or get more information, visit http://bitcoinjobfair.com.